Unauthorized immigration and the inflow of illegal drugs are consistently portrayed as major U.S.-Mexico border problems. Neither drugs nor immigrants originate in the Mexican border region nor do most of them terminate in the U.S. border region. They are border problems in the sense that U.S. policy has focused on fighting illegal drugs and unauthorized immigrant inflows at the border. For both drugs and immigration, U.S. policy-makers have focused on controlling supply. The problem is that supply is driven by demand and not the other way around. If people with the ability to pay want something, someone will find a way to supply it. Supply-side policy can make acquiring a good more expensive, but as long as demand is strong for illegal drugs and cheap labor, they will be supplied. The war on drugs was initiated in 1971 by President Richard Nixon. For the past 47 years, this war has continued and despite spending over $1 trillion, there is no sign of a decrease in illegal drug use or its supply. With each failure, policy-makers’ only solution has been to increase money, manpower and technology for the drug war. When heavy policing blocks one drug corridor, others open. Increased enforcement increases risk and hence price and profit in drugs. Strong, militarized enforcement has resulted in a stronger militarized response by well-financed drug cartels and increased corruption, violence and death, but not a decrease in the flow of drugs. It seems that 47 years of failure might be an impetus for policy-makers to try a different approach. What would drug policy look like if we decided to fight drugs from the demand side? For starters, it would mean treating drug use as a health problem rather than a criminal activity and allocating a lot more money for drug rehabilitation. This coupled with education about the health effects of various drugs along with increased availability of mental health services has a much better chance for success than the failed war on drugs. Fewer people would be jailed for criminal use of drugs, saving $30,000 per year per person cost of incarceration for each of 500,000 now in U.S. prisons on drug-related charges. High taxes on legal drugs, alcohol, and nicotine (and in some states marijuana), can finance regulation, drug rehabilitation and education about the negative health effects of drugs. Nicotine is a successful example of this approach. Cigarette smoking has not been eliminated, but its use is significantly reduced. Politically, the downside of this approach is that it forces us to lay the blame for high drug use on us, the users, rather than them, the suppliers. What we know is that where there is demand, one way or the other there will continue to be supply. The importance of demand for immigration is well illustrated by its dramatic drop when the U.S. economy crashed in 2008. 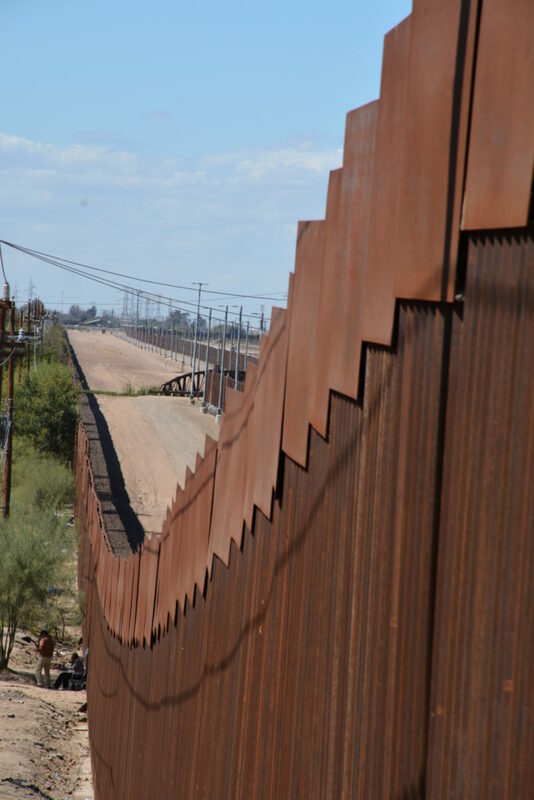 During 2009 and 2010, the number of Mexican immigrants fell to a trickle and about 1 million existing unauthorized migrants returned to Mexico. During the fiscal year that ended Sept. 30, Border Patrol arrest rates, used to estimate unauthorized migration rates, fell to the lowest on record. A demand side approach to unauthorized labor would require, first, to fill labor shortages by insuring a sufficient supply of legal migrant workers and second, to enforce the law against hiring unauthorized workers by holding employers responsible for non-compliance. To do this, the U.S. government would need to supply an adequate number of legal visas to meet demand. In 2016, the government issued 134,000 H-2A visas for legal agricultural workers, about 10 percent of the 1.3 million farm workers employed. Enforcement at the workplace would mean holding employers responsible for hiring unauthorized workers by issuing large fines and perhaps jail sentences for repeat offenders, no longer allowing employers to hide behind feigned ignorance. Instead of a new wall, the U.S. needs a) strategies that reduce the demand for drugs, b) revised labor policy to insure an adequate supply of authorized workers, and c) significant penalties for employers hiring unauthorized workers. These changes would save billions of dollars and allow for more productive economic interrelations with our southern neighbors. A bigger, better wall is unlikely to lower the supply of drugs or the flow of unauthorized immigrants any more than past efforts. There is no wall so high you can’t fly over it, so low you can’t dig under it or so wide you can’t go around it. This commentary was published originally at The San Diego Union-Tribune, February 15, 2018. Source.